The introduction of the new 1-9 GCSEs has brought the challenge, for teacher and pupil alike, of courses with an increased level of subject content. This means pupils need to acquire and master a greater knowledge base if they are to be able to tackle the demands of many of the new GSCE exams. They must then be able to apply what they have learnt to exams with raised levels of challenge and difficulty. For the teacher this means finding strategies to help pupils cover and recall the subject content while allowing sufficient time to help pupils master the skills necessary to understand and apply that knowledge in light of the demands of the examination. There is at this time, a significant movement in education to ensure that approaches to pedagogy are firmly rooted in sound educational research. With this in mind I was interested by the work of ‘The Learning Scientists’; cognitive psychologists who have taken a particular interest in applying their research to identifying those strategies which are most effective in helping students learn. For my research I sought to develop a range of practical classroom strategies and activities based upon a number of these principles. Simply defined retrieval practice is bringing information learned to mind in order to reinforce that learning. One strategy for doing this is the use of tests. Research suggests that regular low-stakes testing allows pupils to practice the retrieval of learning in low stress conditions which help prepare them for the day when they must recall the learning in the high stress situation of the examination. On the basis of this I adopted two strategies. The first, to begin every lesson with a low-stakes ‘quiz’. Each quiz required the recall or retrieval of 5 pieces of learning related to a particular topic. The quiz was designed so that each question contained a key learning point and pupils had to supply a word or phrase that answered the question/statement. To ensure the ‘low-stakes’ nature of the quiz pupils recorded and self-assessed their own answers and were not required to reveal their score to their peers. By making this a routine activity at the start of every lesson the pupils are now entirely familiar with the quizzes. 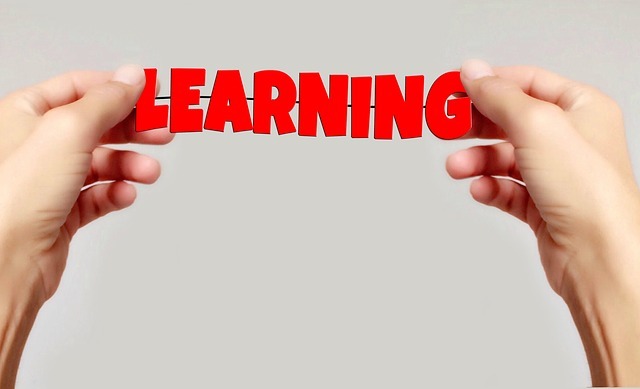 Initially, the quizzes dealt with learning from recent lessons but as the course has progressed and my bank of quizzes has increased, it has been possible to interleave the tests so that we are taking one quiz from recent learning and a second from prior learning. In this way we are also embracing the principle of spaced practice, that is, the revisiting of learning after different periods of time. Diagram 1. Example of a low-stakes quiz used at the start of each lesson. Currently, at the start of Year 11, my class are completing one test from their current Year 11 course and one from the first units from Year 10 each lesson. Over the last year the pupils have cycled through the quizzes on a number of occasions. Consequently, pupils are repeatedly revising their learning from last year building their familiarity with the key learning points from the course. This will I hope help their recall in the examination giving them more thinking space to apply that learning to the greater challenge of answering the higher order questions. The second strategy I have adopted has been the use of flashcards as revision resources. In review and revision lessons pupils are given the opportunity to produce sets of revision cards to provide them with a simple resource that can be used for self-testing and recall. Pupils have built up sets of these cards as part of their revision folders and many enjoy the sense of completing a set of cards as a way of summarising their learning. There is further work to be undertaken in helping them to use these cards effectively to test and self-assess their learning. Creating different formats for combining words and visuals is another strategy to help pupil secure learning using their visual memory. To this end I have sought to develop and use a range of graphic organisers to allow pupils to record their learning in a way that either links it to particular images related to the topic being studied or, to put it into an organisational diagram that emphasises the relationship between ideas. The use of visual prompts is a strategy that also supports some pupils with SEN. Some pupils have found the use of graphic organisers helpful as it allows them to map out their learning in a way that completing notes on a blank page of the exercise book does not and allows them to see when their learning is complete. Adopting some of the ideas from the ‘Six strategies for effective learning’ developed by The Learning Scientists has provided me with additional tools to help pupils record, learn and retrieve learning. The work of adapting and developing these strategies to become more effective goes on. Establishing such strategies as routine activities in lessons has been key in my mind, to helping establish pupils’ familiarity with each one. Perhaps the greatest success so far has been with the low-stakes quizzes which now form a part of every lesson with the class. The pupils have come to expect them and when they say, “We’ve done this one before” and answer the questions with greater confidence, you know that they are having the desired effect! There are a number of ways in which I will seek to develop further the strategies I have adopted in the year ahead. The routine of low-stakes testing is well established with the class but as we move through year 11 I see a need to increase the number of opportunities for them to apply their learning in higher stakes settings to prepare them for the exam room. Having developed the practice of producing revision flashcards, giving pupils more opportunities to show their mastery of the content of each card is needed. This might be undertaken as a self-assessed activity based on the ‘look, cover, write, check’ principle, or as a ‘test your partner’ task. The continued use of visual images to anchor learning and stimulate recall remains a priority both for new learning and as a revision strategy in the run up to the exams. The development of graphic organisers as a way to record learning in a manner that is both visually memorable and incorporates the relationship between key ideas is another strategy I intend to continue developing. Featured image: ‘Learn’ by geralt on Pixabay. Licensed under Creative Commons CC0.